Fans of the music of Tom Waits will love this album. Musically stark and often dark, it recounts a broad range of the often painful vicissitudes of life in a variety of characters and situations. 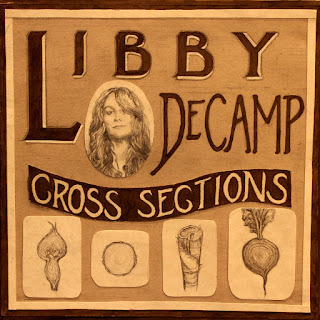 Yet some unspeakable quality in Libby DeCamp's vocal delivery, the affects produced by the sound of her voice, invariably hints at redemption of some kind, if only by telling the tale, immortalizing the tragedy, immortalizing humanity with all its flaws, thus affirming life. Mavis Staples speaking of a young Bob Dylan wonders how anyone that young could speak with such authority and experience about subjects beyond his years. 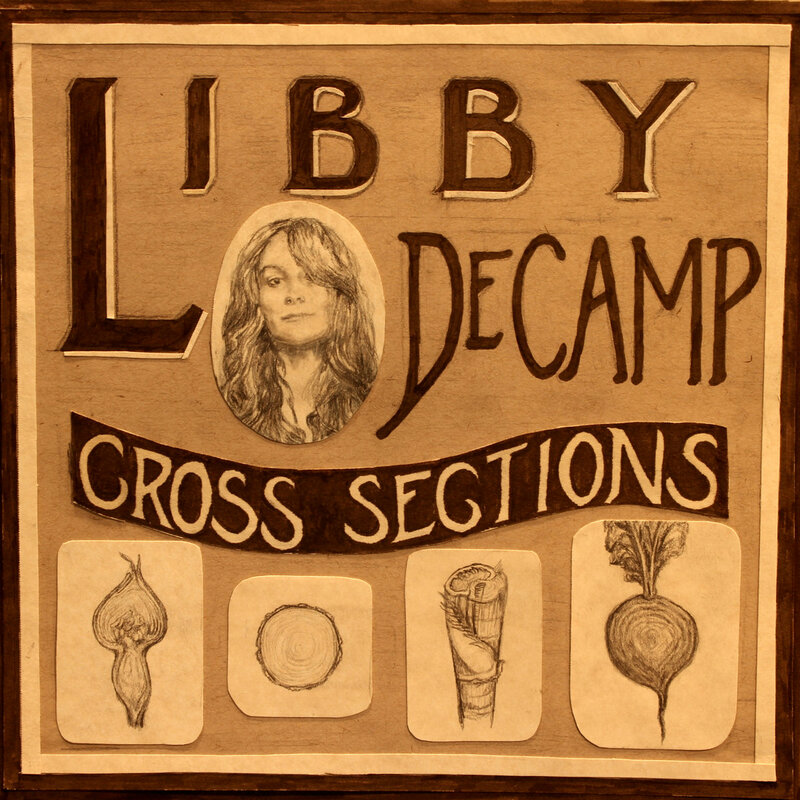 Libby DeCamp has a similar quality of wordly wisdom in her voice and an ability to assume characters far outside her lived experience. She makes them and their stories real: the rise and fall of the ghetto sage in Seattle; the farmer in Put The Kettle On; the Old Witch in a twisted adult Nursery Tale; Elroy, the failed hero; the outlaw in Black Suit Man - perhaps a speakeasy operator, singing to his nemesis, Mr. Hoover likely J. Edgar, but could also apply to Herbert. The lyrics throughout contain much rich, suggestive imagery; poetic, sometimes whimsical and offbeat, a mixture of ironic comedy and profound tragedy without being the least bit cynical or nihilistic. The authentic, weathered flavor of the music for each song provides the atmosphere and movement to draw the listener in to the intimacy of the stories - the delicate fragile scarred emotions of fractured, unfulfilled lives - lives that get some measure of glory and validity by having their stories told. Cross Sections - slices of life and death from odd, different and unusual angles; cross sections exposing the depths of the ancient American underbelly. This is a warm and clear production with lots of spatial depth courtesy of Adam Schreiber who also provided drums and percussion. His brother, Brandon James, anchored the Upright Bass. They're both from the Michigan based band Jack and the Bear whose new release, By the Book, I'll be writing about fairly soon. I wrote about the album I recorded with them here. The warm sound and seductive grooves of Cross Sections makes you want to listen, it draws the attention in. Musically you could loosely describe this as folk blues aesthetically related a bit in sound and mood to the Tom Waits Mule Variations era. DeCamp calls this music "Broken Folk." 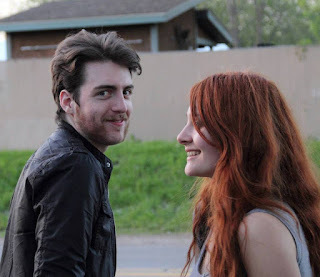 The second track, Seattle, recalls the production values of the T. Bone Burnett produced Raising Sand by Alison Krause and Robert Plant. The starkness of the sixth track, Charlie, just a very close vocal and pump organ telling the old drifter's story, carries the same sense of desolate emptiness as Bruce Springsteen's Nebraska. DeCamp's ability as an artist to absorb and express a wide range of diverse influences, to convincingly invoke the struggles of the human condition, invites comparison to other epic works of art with similar aims. Fanciful or not, I couldn't help but noticing the opening lyrics of Elroy, the first song on Cross Sections has the character say: " I could have crossed the river deep..." which suggests to the literary mind the "riverrun.." that begins James Joyce's Finnegans Wake. Both use the river as a metaphor for life; cross sections from the river of life. Related to this album - A concept I've been struggling to understand the past few months, comes from Deleuze in Nietzsche and Philosophy: "The tragic is the aesthetic form of joy, not a medical phrase or a moral solution to pain, fear or pity." While I'm still not to the point of being able to explain that further, listening to Cross Sections will impart an experiential feeling for that idea. DeCamp's sings against a plaintive, sometimes slow, bano-picking, blues-based musical environment that underscores the tragic elements, but also moves and emotionally communicates an aesthetic form of joy. In Birth of Tragedy, Nietzsche illustrates the importance of tragedy in making relevant art. He signifies the wild, instinctual, chaotic depths of artistic creation after the Greek god, Dionysus. Good music, real music makes known this Dionysian current. Under the heading The Essence of the Tragic, ibid., Deleuze writes: " Dionysus affirms all that appears, 'even the most bitter suffering,' and appears in all that is affirmed. Multiple and pluralist affirmation - that is the essence of the tragic. This will become clearer if we consider the difficulties of making everything an object of affirmation. ... When anguish and disgust appear in Nietzsche it is always at this point: can everything become an object of affirmation, that is to say of joy?" I submit that the music of Cross Sections fulfills this function magnificently with elegance and soul. Paradoxical as it may sound, it brings joy to listen to these tragic tales; the proactive listener, moved by this music to affirm life, plays just as much of a redemptive role as the singer and musicians. Listening to and connecting with Cross Sections brings clandestine joy into the world in the form of tragedy redeemed and immortalized. 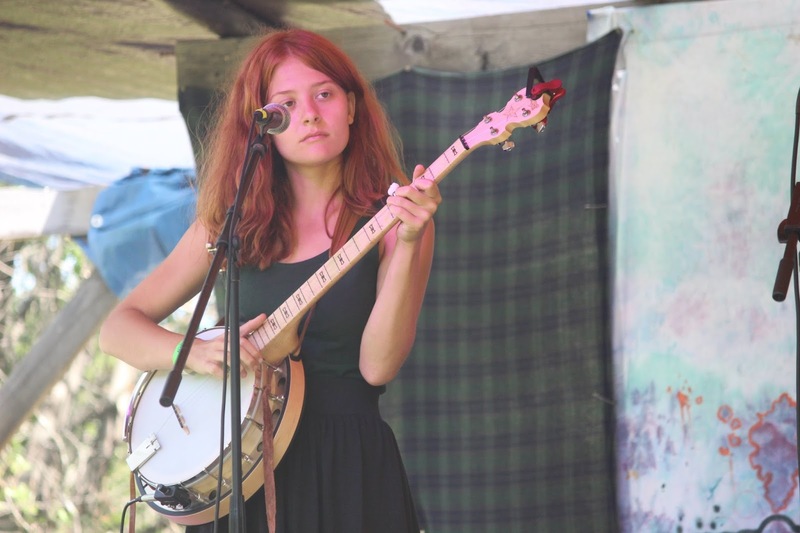 Out from the quiet orchards of Romeo, Michigan, Libby DeCamp has spent an adolescence in close companionship with bodies of music and literature, among hinterlands of horses and history. Driven by a will to connect on a raw, human level and stir to compassionate action, she has been writing and playing songs since her early teens under several different outfits, namely Michigan folk duo, "The DeCamp Sisters." After its dissolve in spring of 2015, she has harnessed experience and verve into a new sound to be shared. Libby posted all the lyrics to Cross Sections on her website. Enjoy!